For those traders who want to get to the professional level, please check my mentor program. 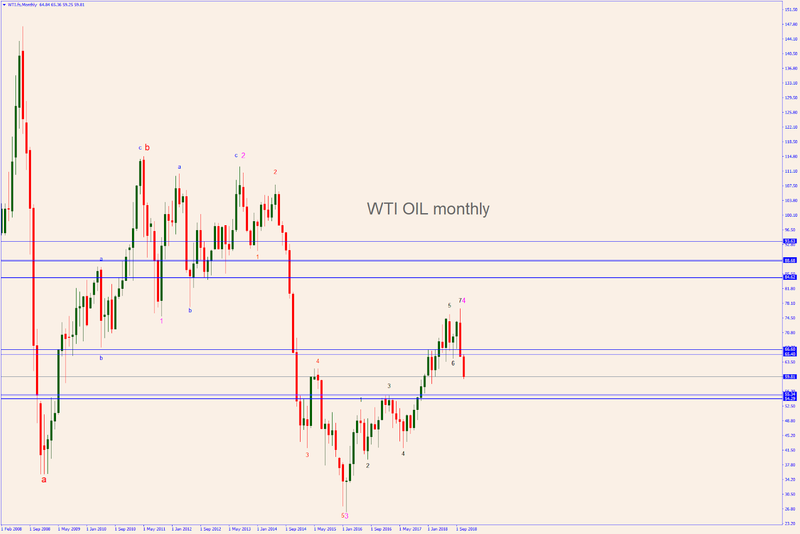 As predicted in my previous post, the WTI Oil (now at USD 59.81) started a major downtrend on Oct 10 and it is on way to reach the target in the USD 55-54 area (see the weekly chart). 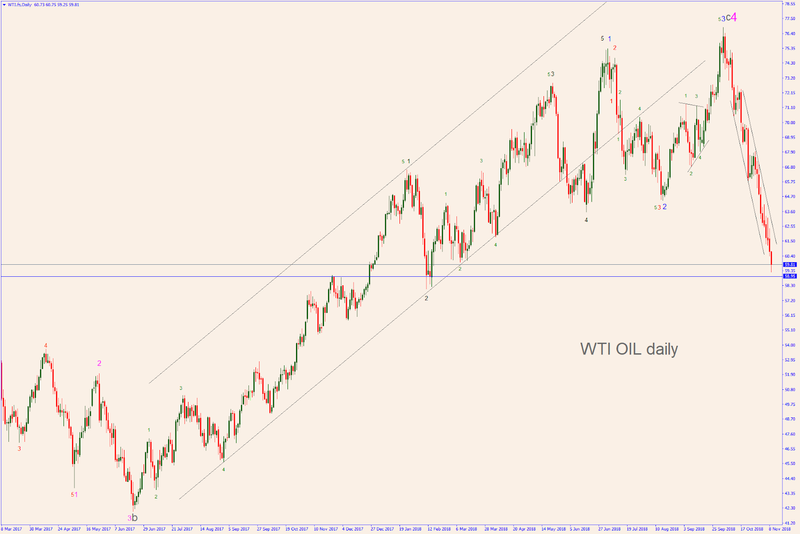 It should then bounce back to the area USD 65-66. 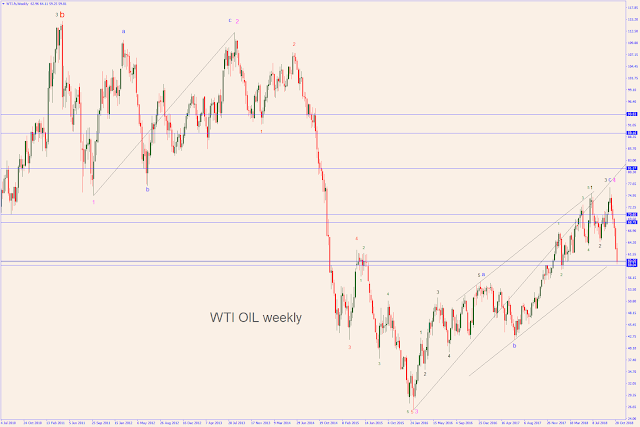 Major wave 4 (in the monthly and weekly charts) was supposed to be made out of three or seven waves. 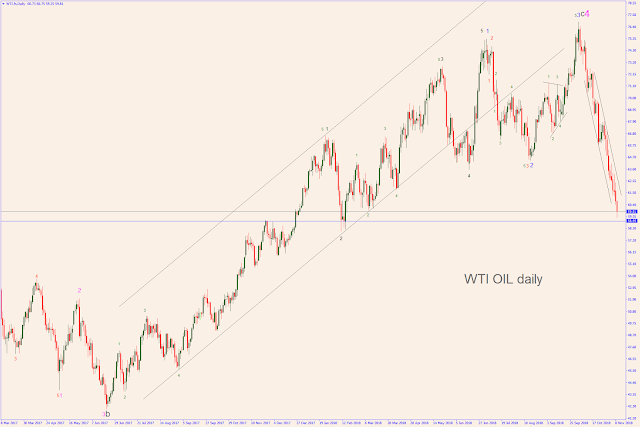 In fact, it formed an a-b-c in the weekly chart which is equivalent to a seven waves pattern displayed in the monthly chart. 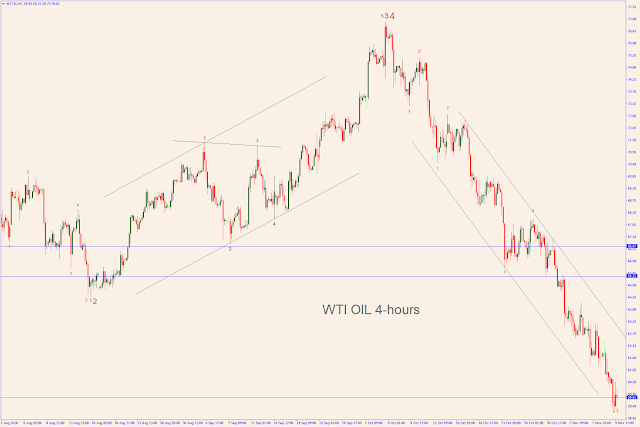 The WTI OIL is on the way to complete five waves down to USD 55-54 (see 4-hours chart). 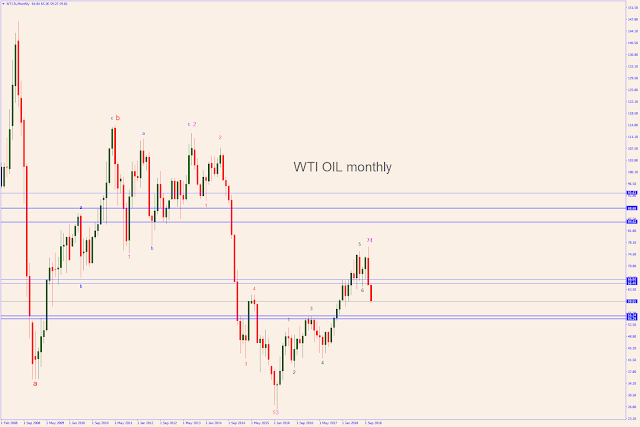 After the completion, it's expected to stage a three retracement-waves up to USD 65-66 (see the monthly chart).